A serious accident on the M1 has led to delays of up to 85 minutes and the closure of the motorway’s southbound lanes on a busy Northamptonshire stretch. 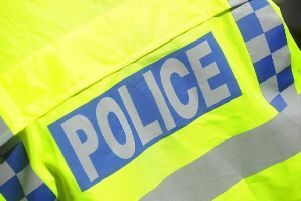 The collision saw a foreign registered lorry crash and embed itself into the embankment on southbound between junctions 15 and 14 near Salcey Forest. The driver is thought to have suffered serious abdominal and leg injuries. The three southbound lanes were then closed to allow the air ambulance to land. All other emergency services attended the scene. Northbound traffic was initially held back but re-opened shortly before 8am. Meanwhile, the entry ramp at junction 15 is closed as there is no access to the motorway, and this has led to queuing back into Northampton.